What governs how populations respond to selective pressures? In the wild, what scientists predict and what is observed sometimes do not align very well. Social interactions between family members could be one reason for this disparity. We used the burying beetle to test whether social interactions between parents and offspring can accelerate evolutionary change. We found that cooperative interactions between parents and offspring, and also between siblings enhance the capacity for evolutionary change. Social interactions – when two individuals of the same species interact – are extremely common in all organisms, including bacteria. These interactions can have large effects on the individuals involved. Cooperation, where both individuals benefit, and competition, where individuals compete for resources to their detriment, are both types of interaction that influence an individual’s fitness. But how important social interactions are in influencing evolutionary trajectories is less well known. Theory has led the way on this front, but experimental work has been lacking. We used an organism with an elaborate family life to better understand how social interactions change how populations can respond to selection. 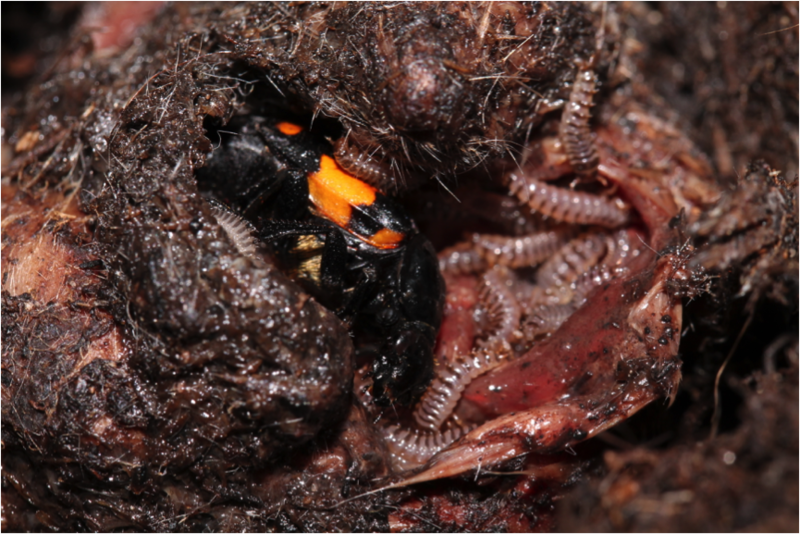 My supervisor, Professor Rebecca Kilner, has been using the burying beetle, Nicrophorus vespilloides, as an experimental system to ask questions about the evolutionary consequences of parental care. This ghoulish species breeds on dead vertebrates, and in order to better utilise the carcass, has evolved complex parental care. Parent beetles shave and bury the mouse to make a carrion nest, and, after the eggs hatch, the parents regurgitate pre-digested carrion to their offspring, like birds provisioning their young. Could parental interactions with offspring shape evolutionary trajectories of populations? To answer this question we had to take the role of nature and impose our own selection on different populations of burying beetle: eight populations in fact. In artificial selection experiments, you measure a trait (body size in our case) in every individual, and you choose which ones make it to breed. In our case, that meant measuring 1000 beetles a week! At the start, it was quite a challenge for just me to maintain so many beetles, so other members of the lab helped out when they could, including my supervisor. In the few afternoons we spent collecting data, she persuaded me to start watching Breaking Bad. This did nothing for my levels of stress at that time…. The immense amount of work (over 25,000 beetles successfully reared and measured!) was worth it. 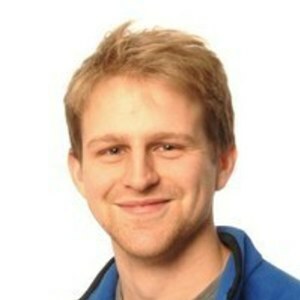 Matthew Schrader, the post-doc on the project, led separate experimental work on social interactions among larvae that helped us to understand the results we obtained. We found that cooperative interactions between parents and their offspring allowed us to increase body size through artificial selection. When we removed parents experimentally, cooperative interactions between siblings enabled us to artificially select smaller beetles. Previous work had shown that excessive levels of competition can sometimes cancel out the effects of selection, and prevent evolutionary change. But our work shows the opposite is also true: cooperative interactions can facilitate evolutionary change within populations. Evolutionary biologists have spent a long time unravelling the puzzle of why animals should cooperate with one another, when natural selection seemingly favours only selfish behaviour. Our work shifts the focus on to what happens next. We have shown that once this most puzzling of social behaviours has evolved, it can speed up the way in which evolution then unfolds.